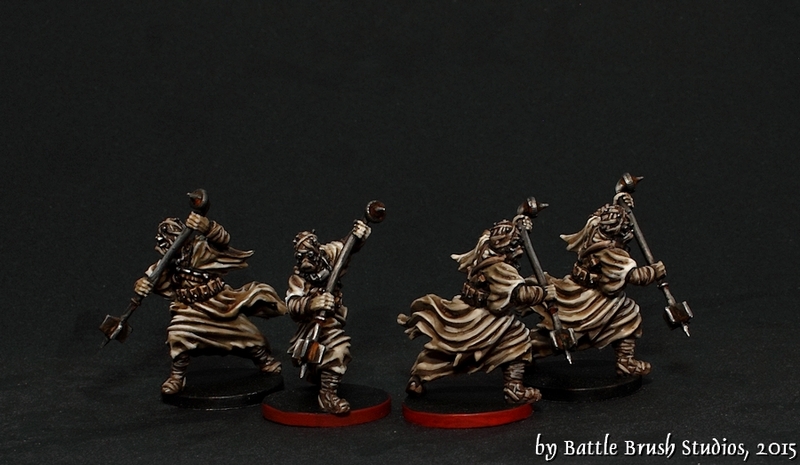 Now here's a particular favourite of mine: Tusken Raiders, a.k.a. Sandpeople. They ride in single pose to hide their numbers, you know. Anyway, I love the Sandpeople. They are such a great 'low-tier' danger at the beginning of A New Hope and let us know that this universe is msysterious, dangerous and how technology is a very basic and common thing to use, even for 'less civilized' folks. They also are such a great design. You gotta love them. The models of course suffer from being mono-pose, but there is a lot of movement in them. Hope you like my paintjob!